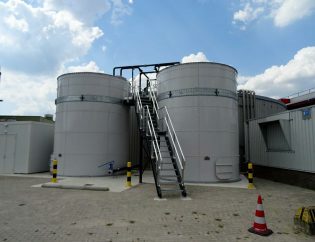 ISS Tanks delivers and installs storage and covering for various liquids and solids. 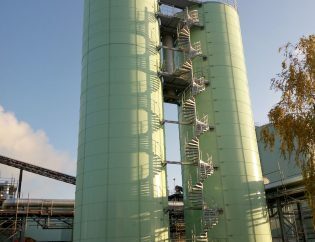 The storage systems consisting of storage tanks with various types of covering. The storage tanks and cover systems are designed according to international regulations and standards applicable engineered. This takes into account local weather conditions like temperature, wind and snow loads and earthquake zones. The storage tanks are transported to the building site in kit form and built up on the spot by means of an auger system or a crane. ISS Tanks delivers tanks, builds and inspects all types of prefabricated storage tanks and cover systems worldwide. Also, flexible storage systems are frequently used for the storage of liquids and gases. The advantage of these systems is that they are easy to transport and install. With various types of films, there may be a suitable storage and cover for each liquid. Think of temperature and pH-values ​​that may have an effect on the foil. 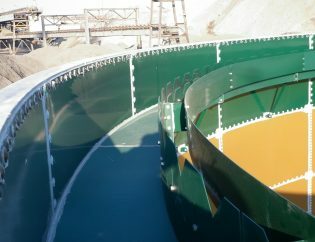 All the tanks we can provide various kinds of covering systems. From ladders to nozzles and upper and lower pressure valves. ISS Tanks supplies all accessories for a variety of storage options. For advice, inspections and repairs. To avoid problems ISS Tanks can expertly inspect your storage systems and covers any defects. Also serving various agencies we report competent and objective all storage systems. Maintenance is very important in storage and covering. Each type of storage needs maintenance from time to time in order to prolong the life. ISS Tanks maintains and repairs all types of systems. 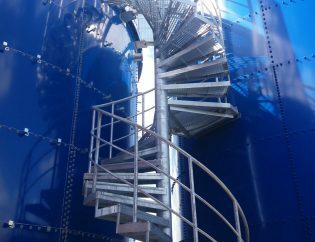 ISS Tanks supplies and installs worldwide.